The Chinese authorities have linked religious issues with the local governments’ performance in office, intensifying religious persecution. 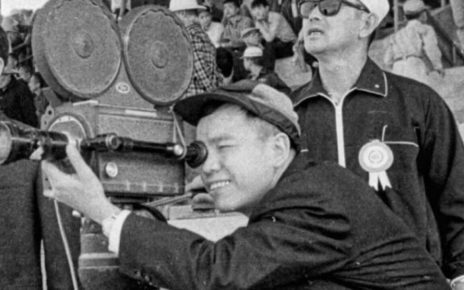 By appraising an area as a “civilized city” or “civilized village,” the Chinese government is attempting to set an idealized societal model. To do so, an area’s economic development and construction of “spiritual civilization” are used as the selection criteria, but specific standards vary from place to place. If an area is designated as “civilized,” it will receive recognition or be financially rewarded. The presence of religion, however, is regarded negatively, and to receive government’s appraisal, approval, and financial support, communities are forced to get rid of places of worship. This is yet another means by the regime to eliminate religion. On November 28, 2018, the government of Dingzhai village under the jurisdiction of Xinxiang city in central China’s Henan Province demolished a Buddhist temple. According to residents, the village’s Party secretary told them that since Dingzhai was selected as a “civilized village,” the state would give the village a reward of one million RMB (nearly $149,000), but it won’t be granted unless the temple is demolished. “A civilized village cannot have temple,” a local official said. “The village cannot develop without funding. Besides, we worshippers are afraid that other villagers will blame us if the village doesn’t receive the reward due to the temple’s existence, so we had no choice but to agree to have the temple demolished,” said a Buddhist worshipper. As Bitter Winter has reported, the Chinese government has used the creation of a “civilized countryside” as a basis to remove religious symbols from private homes or paint over the traditional colors of Buddhist temples. 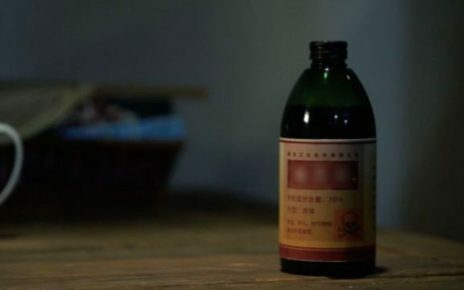 Requirements concerning “xie jiao-free development in the county, ten townships, and 100 villages” in the document issued by the 610 Office of a county in Fuzhou city, Fujian Province. 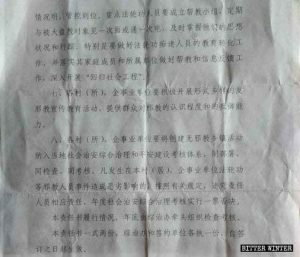 A statement of responsibility regarding the creation of a “xie jiao-free township,” issued by the authorities of a town in Jiangxi Province. 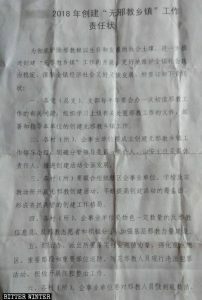 Bitter Winter obtained a document regarding the creation of a “xie jiao-free township,” issued by the authorities of a town in southeast China’s Jiangxi Province in 2018. The so-called “statement of responsibility” demands that each village, enterprise, and institution form a working group to create a xie jiao-free township. At the same time, they must also work together with schools and religious venues to carry out activities creating a “xie jiao-free” area. 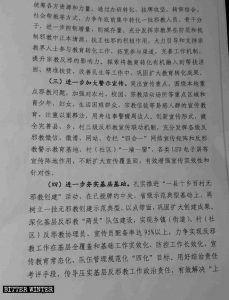 They must recruit “anti-xie jiao information officers” and intensify control over “xie jiao persons” in the jurisdiction. Children with Disabilities Finally at Schools?